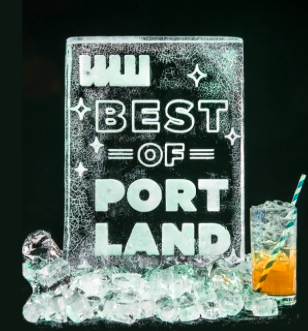 My WW Article in Best of Portland 2018! I was beyond ecstatic yesterday waiting for the Willamette Weekly article to arrive! I tried really hard to keep it a secret because I wasn't really sure if it was actually going to happen. There have been times when I have been interviewed for a piece that doesn't get published for various reasons. Of course I have had pieces like this Portland Monthly Article that was such a great experience as well as others! It was also "The Best Of" issue and I chose not to participate in the competition this year... and usually just don't. But I got recognized for doing my thing! Very honored to have been noticed for just doing me and really appreciate all my supporters who have encouraged me since the beginning to be myself. This type of salon was thought to be a really "out there" idea to a lot of people when I initially shared my ideas for Babe Wax. But it really isn't! People should be treated fairly and with great love and care no matter what kind of body they have! Estheticians should understand that even brow waxing can be a brave step for someone. Sure, being nice to trans people or being able to ask people's pronoun is a great start, but the deep understanding of body waxing as body work is what I want to instill in the beauty industry. I am so blessed to have clients that come to me for their first wax because no other place felt safe enough. So many of them were brave enough to show up to their appointment even though their previous experience was triggering. I'm honored they thought of me as a worthwhile attempt. I strive to make everyone feel welcomed and like a babe because everyone deserves that experience.